Find the commercial, medium, and heavy-duty trucks and parts you need to stay on the road from Highway Motors Inc. in western Virginia. With parts departments in 3 locations along the I-81 corridor in Winchester, Harrisonburg, and Roanoke, Highway Motors Inc. is well suited to serve your trucking needs in the western part of Virginia. We have more than 1 million dollars in combined parts inventory and next-day emergency part availability. Rest assured that we can get you the parts you need. We also have Bi-monthly specials on selected parts and services. We are experts in commercial trucks, offering factory-trained service technicians, an experienced truck sales staff, and more than 80 years of industry experience and knowledge. We have models of these types of trucks on our lot but specialize in finding the right truck for your business model. We know the industry and understand a trucker's needs. For regional hauling, urban delivery or cross-country truckers we will find the commercial truck that meets your specific needs. 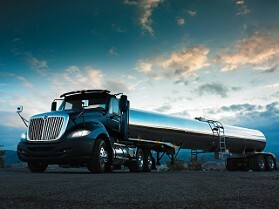 When you are looking for more than just a truck, we feature the industries most spacious cab. We also provide Allison3 transmission services. 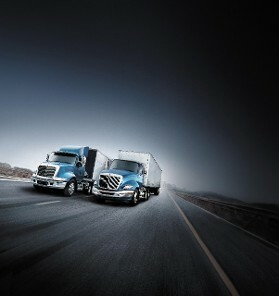 Contact our truck dealers in Virginia to find the heavy-duty and International Trucks you are looking for.